This book offers a fascinating presentation of the important recognition of the rights of trans people to dignity and equality – and the enormous threats they face in the current administration. This is an excellent, and much needed, book. It contrasts the actions of the Obama and Trump administrations, diametrically opposed to each other with respect to the rights of transgender individuals. With thorough research and clear writing, this book will certainly appeal to those with professional or personal interests regarding transgender people. This text should also appeal to those who have scholarly interests related to executive policymaking, as Professor Mezey’s book illustrates the possibilities, and the limits, of policymaking that occurs outside the halls of Congress. 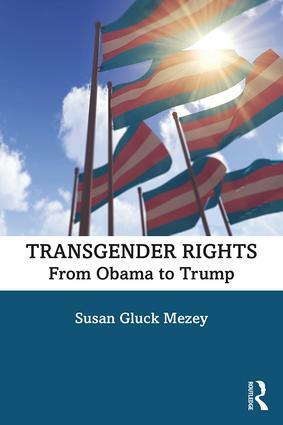 Susan Mezey has again delivered a magisterial survey of the fight for LGBTQ rights in our nation's courts with a sweeping, up-to-date analysis of the legal battles waged by transgender people in states and localities and before federal tribunals.